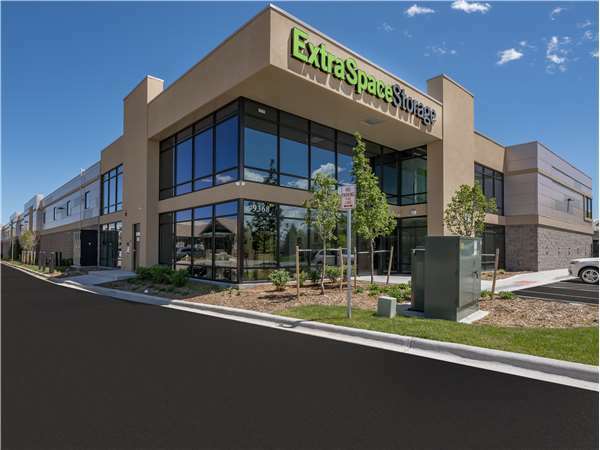 Located on Teddy Ln just off S Yosemite St and Kimmer Dr, Extra Space Storage serves residents of Lone Tree, Meridian, Heritage Hills, and Castlewood. Locals will recognize our facility near Bowlero Lone Tree. Extra Space Storage on Teddy Ln offers a variety of storage units, climate-controlled storage, drive-up access, and exceptional security. We're the convenient storage solution you can count on in Lone Tree! Easy processing on a climate controlled and secure facility made it easy for me to decide on choosing them to keep my personal items there. I have no worries now when I'm away from home. This couldn't have been more perfect! The price was great and I got a free month too! Steve was so helpful in every aspect, he went out of his way to help and accommodate my needs, he even pitched in and helped move out a few items from the truck! The facility has a loading dock area that is covered and it started to rain and we weren't caught up in it. The place is super clean, super easy to access the units, there are even some flat dolly's there to help with the move into the units. It was all so easy and went great! I highly recommend this place, the security is awesome too. Steve really made this move into the unit a success for me, this is customer service at its finest! Thanks Steve!!! Drive south on S Yosemite St. Pass Park Meadows and continue south. Turn left onto Kimmer Dr. Turn right onto Teddy Ln. Our facility will be straight ahead. Drive north on RidgeGate Pkwy. Continue onto S Yosemite St. Turn right onto Kimmer Dr. Turn right onto Teddy Ln. Our facility will be straight ahead. Drive west on Lincoln Ave. Turn right onto S Yosemite St. Turn right onto Kimmer Dr. Turn right onto Teddy Ln. Our facility will be straight ahead. Drive east on Lincoln Ave. Turn left onto S Yosemite St. Turn right onto Kimmer Dr. Turn right onto Teddy Ln. Our facility will be straight ahead.